Advanced Web Ranking offers various detailed and helpful reports to help you grasp where your site ranks and how you can improve it. These reports include accurate – not estimated – rankings, competitor monitoring, traffic performance, social media exposure and more. You can create customized reports, which you can gather daily, weekly or on demand. Advanced Web Ranking is a search engine optimization (SEO) software application that helps you manage the many moving parts of your SEO efforts. It packages all of your SEO tools in one place and allows you to track your campaigns. Advanced Web Ranking's desktop version provides a large selection of optimization tools in all the main categories of SEO, including keyword optimization, linkbuilding, link management, competitor analysis and performance reporting. If you need help with SEO, but you don't have a large budget, you may want to look at software offered by SheerSEO. Pricing varies, depending on the number of domains you manage and the amount of keywords used, but its prices are lower than those of similar plans from competitors. However, increasing the number of keywords or pulling campaign reports more frequently than SheerSEO's weekly allotment costs above and beyond the monthly price listed on SheerSEO's website. 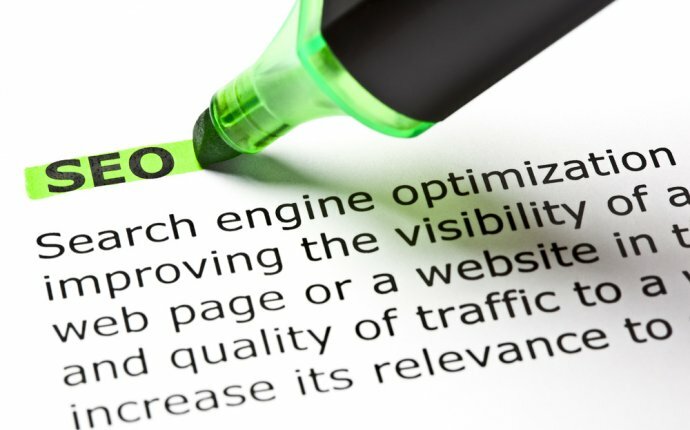 SheerSEO is search engine optimization (SEO) software with many features beneficial for a small business's SEO program. It has core features in keyword optimization and link building, and it offers detailed reports. It also has detailed social media reporting features, which is quickly becoming a huge influencing factor in SEO. Despite its multiple SEO features and thorough reports, it lacks other key features, such as competitor analysis, and it does not provide unlimited keywords. However, if you don’t need all of these features and have a smaller budget to spend on SEO campaigns, this software is a good choice. SEO Effect is a good place for small businesses to start when they want to improve their SEO rankings. SEO Effect lays out the steps of your SEO plan, making this software easier to use for businesses that lack an SEO team. This SEO application contains all of the important tools you need to improve your site, including a keyword research tool, an SEO page-scanning tool, the ability to collaborate with your colleagues and more. SEO Effect's software suite is ideal for small businesses, especially those organizations that are just beginning to learn about SEO or implement their online presence. If your business needs to improve its search engine rankings, but you don't have an in-house SEO team and you don't want to hire an agency, SEO Effect might be a good fit for you. This SEO software is designed to be easy to use and understand. Even if you don't have any knowledge or previous experience with SEO, the company claims you can use this software yourself and run a successful SEO campaign. The software guides you through the SEO process step by step with video tutorials and other helpful guides. If you're looking for more advanced SEO software to help you manage a lot of data and domains, SEOlytics is worth looking into. While it offers plans for smaller businesses, it has especially impressive options for agencies and enterprises. You can run unlimited visibility, keyword, and domain-ranking reports; customizable domain analyses; international tracking and daily rank tracking for keywords; a customizable link monitor; and more. You can add more features to your plan as needed to match the requirements of your business. SEOlytics, an all-encompassing SEO suite, fits the bill for small businesses, but it also has impressive offerings for enterprises, including international businesses. It offers one of the most impressive plans for agencies and enterprises out of the many software suites we considered with several unlimited features, and is worth considering if you're looking for a solution capable of handling the needs of your large business. Social media is increasingly becoming more important to the world of SEO. Using social media accounts like Facebook and Twitter help spread the word about your business and increase your website traffic. SheerSEO monitors your social media accounts to help you improve your SEO through these channels. This SEO reporting software is the service to choose if you need help with SEO specifically through social media. Is SEO Reporting Really That Important? SEO software can be an amazing tool to improve your website's rankings in search engines. The solutions in our buying guide offer tools to help you choose better keywords and increase traffic, but the tools that make these changes are not enough. It is also imperative that your software has thorough and accurate reporting and analytical tools. SEO is most effective when you can track your progress and compare your performance against that of your competitors. With helpful reports, you can see areas where your website can improve and design campaigns to further increase traffic, giving your website – and your business – a competitive edge.